Recently, when it came time for me to install my new 14-bolt ARB Air Locker, I was horrified to find that my gears were in atrocious condition. So much for maintenance...gulp! I guess 27 years of hard use - the last 7 or so under brutal conditions in the rear of my rock buggy take their toll on a set of gears! If your gears look anything like this - then you are in desperate need of a new set. The bearings weren't a whole lot better. 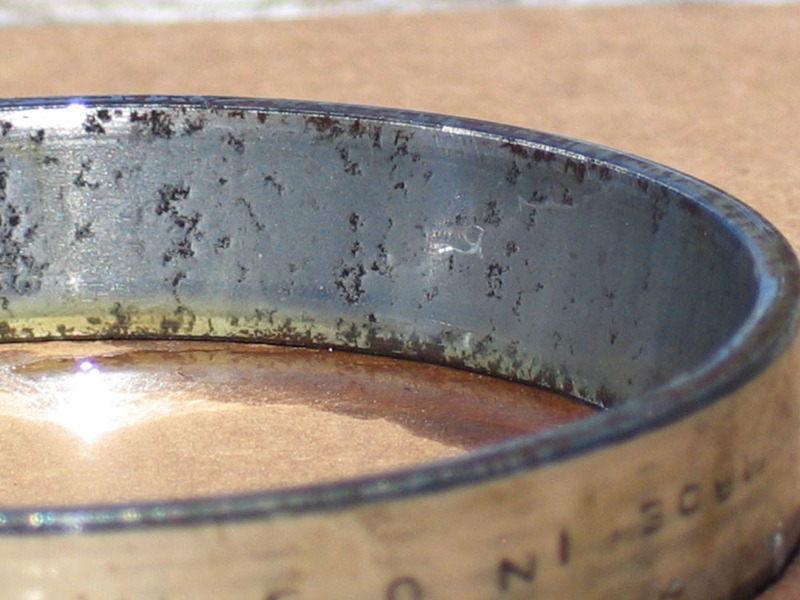 Here you can see severe pitting and galling of the carrier bearing race. Note: This is an extreme example - you need new bearings well before they get to this stage. 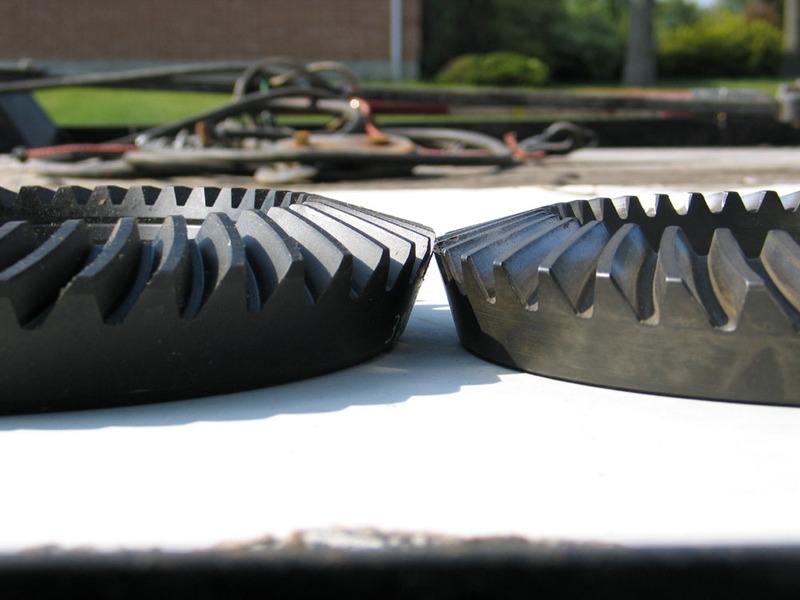 Basically, if you see any signs of wear, corrosion, pitting, scoring, or over-heating they should be replaced. My rule - "If in doubt, throw 'em out"
If you're installing new gears and/or a locker - it's probably a good idea to replace the bearings regardless of condition - just for preventative maintenance. That way you don't end up with garbage that looks like this in your rig! Normally a die-hard Dana/Spicer fan, this time, especially since I was working on a non-Dana/Spicer axle, I thought I'd try a set of Yukon gears and a Yukon Master Install kit from Randy's Ring & Pinion. This is the part number from the box, for Yukon 4.11 14-bolt gears. When I spoke to Mac from Randy's to order the gears, I learned that the 14-bolt Yukon gears are manufactured exclusively for Yukon by an American gear manufacturing company based in Chicago Illinois, called US Gear. They also manufacture gears for quite a few big-name OEM companies such as Meritor (Rockwell), General Motors, Chrysler, Ford and even Dana. With that much experience, combined with the fact that the gears are manufactured to Yukon's explicit specifications quality assurance standards, the Yukon brand gears are a top-quality, professional level product. My gears arrived in short order and well packaged. 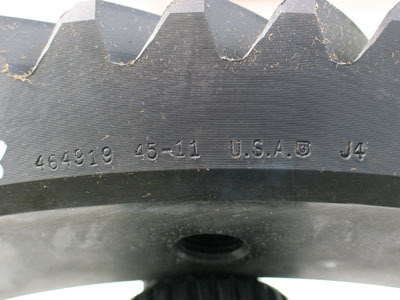 The ring gear is stamped with a production number, the gear-set tooth count, and a "made in U.S.A.' stamp. 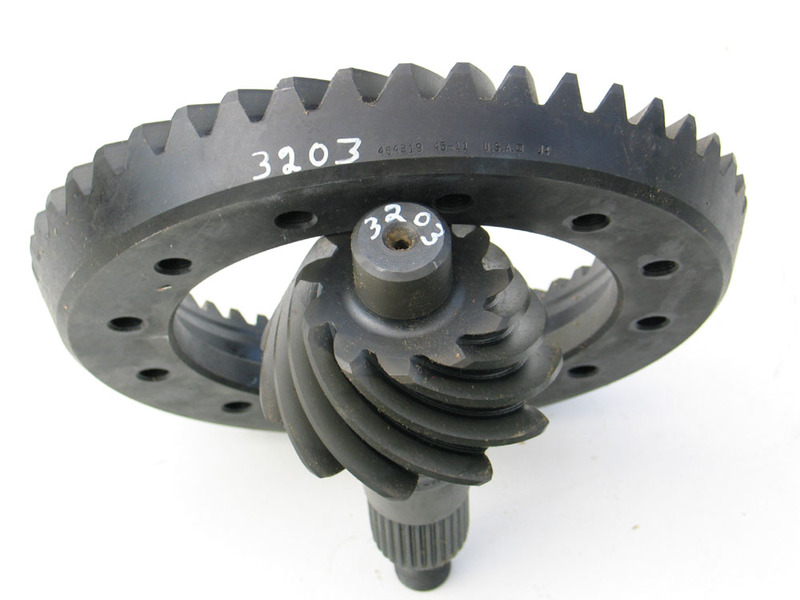 The Pinion is similarly marked and also has the tooth count stamped - 45 ring gear teeth and 11 teeth on the pinion. 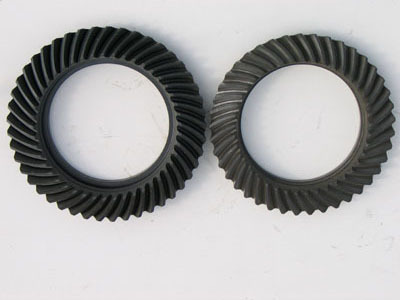 Both ring gear and pinion are also marked with a matching set number. My only disappointment was the fact that the pinion was not marked with a pinion depth code number. 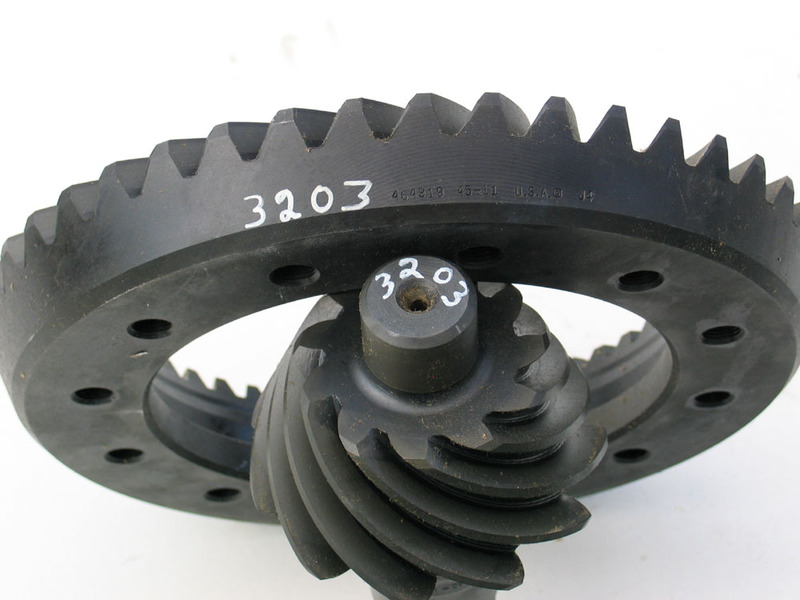 This is a number that indicates the difference between the nominal pinion depth and the correct pinion depth for this set of gears. It can be used, along with the code from the old gears and a record of the old pinion shim stack, to create a very accurate starting point for pinion shims when setting up the gears. It's not critical, and you can set up the gears perfectly well without it - but it does give a convenient starting point and can save some time. Before I installed the gears I thought it might be fun and interesting to take some comparison pics of the 4.11 14-bolt gears beside a set of 4.10 Spicer Dana 60 gears (in this case a reverse-rotation set from a Ford front axle). 14-bolt gears on the left, Dana 60 on the right. 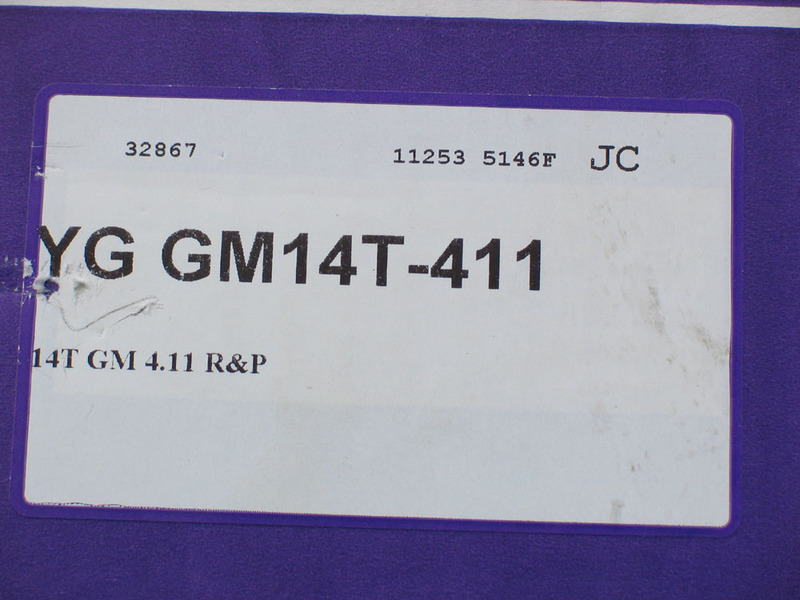 Yukon GM 14-bolt 4.11 ring-gear on the left. Spicer Dana 60 4.10 ring-gear on the right. 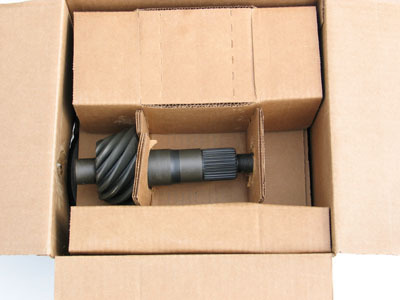 The Dana 60 ring gear is 9.75" diameter and the 14-bolt is 10.5". 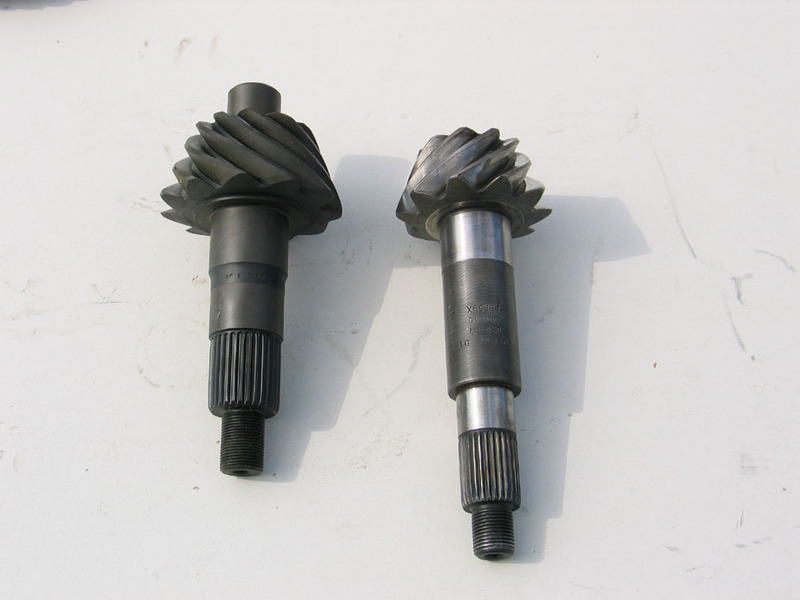 14-bolt pinion on the left, Dana 60 pinion on the right. The 14-bolt pinion splines are 1.750" 30 spline and the Dana 60 pinion splines are 1.276" 29 spline. 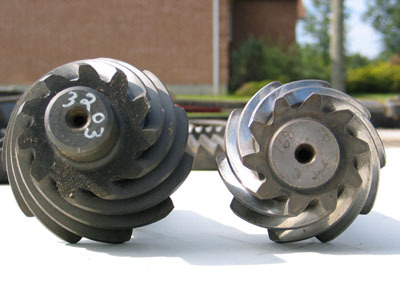 11 teeth on the 14-bolt pinion (left) and 10 teeth on the Dana 60 pinion (right). 14-bolt on the left, Dana 60 on the right. A great shot of why the ring gear is sometimes called the "crown gear". 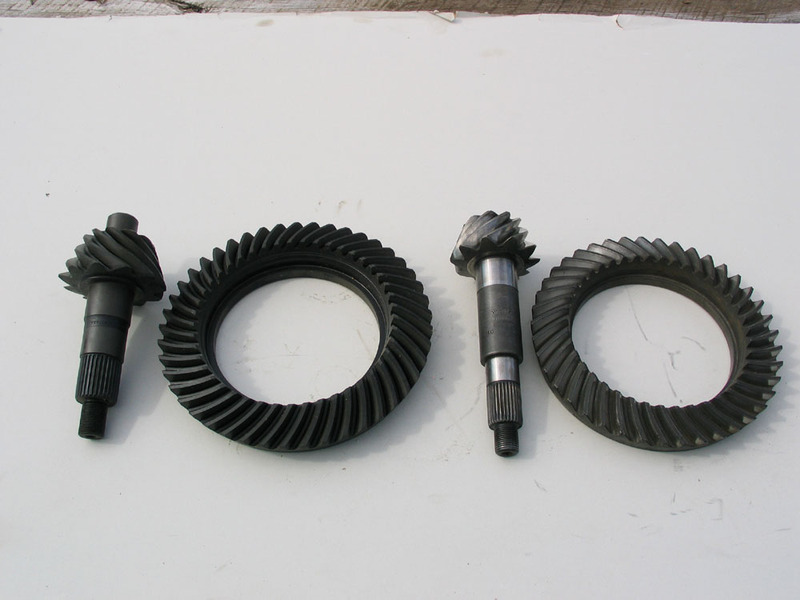 Also - have you ever wondered why gear-lube used in axles is called "hypoid gear oil"? It's because ring and pinion gears are technically hypoid gears. 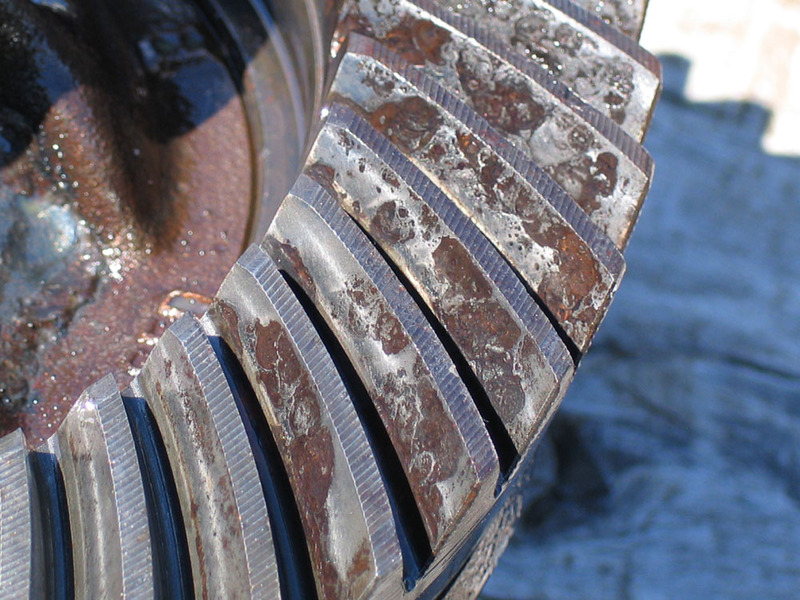 The definition of a hypoid gears is: gears shaped like a cone, having spiral teeth, and that have offset axes (i.e. a line through the centre of the pinion will not intersect with a line through the centre of the ring-gear). This picture shows quite clearly how the ring gear is shaped like the bottom chopped off a cone. '88-'99 14-bolts will take a different kit as well because, in this so-called "second design" 14-bolt, the rear pinion bearings are different from those used in the earlier axles. * Cone = the roller or bearing, Cup = the race. Contrary to the sound of the name - there appears to be no complete industry standard as to what comprises a master install kit. And with the 14-bolt there are a few little gotchas that make things even more interesting. 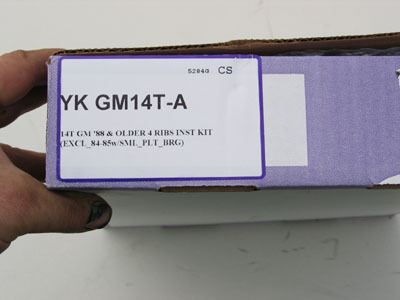 The Yukon kit comes well packaged, sealed in plastic, in a box. This seemed a strange number and combination of shims, and I know that they are available from GM from 0.006 to 0.024 in increments of 0.001, so I was a little concerned about how setup would go. However, my old gears used a single shim of 0.013 and I set up the new gears fine using the single 0.015 shim from the kit. I don't know if I just got lucky or if Yukon knows what the most often required shims are - but if you use the Yukon kit you may have to purchase some additional shims of the thinner dimensions to get the exact right combination for pinion depth. You may notice from the above list that a couple of items are missing - especially if you are more used to Dana axles. 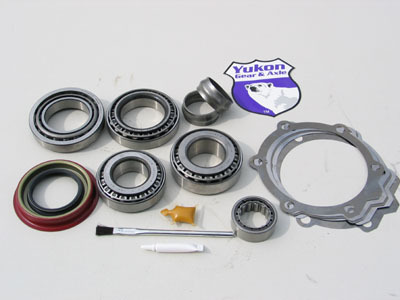 The Yukon kit does not include pinion nut, pinion washer, or ring gear bolts. Interestingly, neither do any of the other kits that I researched. The reason given to me by a number of suppliers distresses me a little - many say that the pinion nut and ring gear bolts on the 14-bolt are re-usable. I completely and utterly disagree with this. First, every manual I have, from factory GM to US Military, quite clearly states that pinion nut and ring gear bolts must be replaced after service. Second, it is clearly accepted practise to replace these parts in other axles during differential service, and I see no reason why the 14-bolt should be any different. Third, a little knowledge of fastener theory (you can read about this in my Nuts & Bolts article) along with consideration of the tremendous loads they endure and critical functions they perform, leads me to conclude that ring gear bolts and pinion nuts should always be replaced and never re-used. 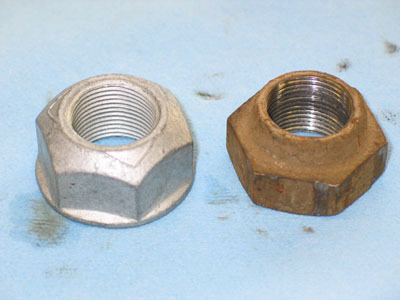 Finally, in the case of the pinion nut, it is a deformed-thread style locking nut made of a relatively soft material, and a quick glance at the threads in the picture below of a new nut compared to a used nut should convince you. Being as I live on the other side of the continent from Randy's, when the kit arrived without pinion nut, pinion washer, or ring gear bolts I thought I would just source them locally. When I tried, I found out some more interesting facts. I tried all the usual suspects - auto parts stores, heavy-truck parts suppliers, and even the dealership. What I found was that nobody stocked, or even held a listing for these parts except the dealership - they seem rare as hen's teeth for some reason? I also discovered that many places will refer to ring gear bolts as "crown bolts"; presumably because some, particularly the British, refer to the ring gear as a "crown gear" because of its shape. Predictably, the dealership wanted an outrageous amount for the parts - something in the neighbourhood of seven dollars for each ring gear bolt and nearly forty for the pinion nut! Thankfully, Randy's, having such a huge inventory, had the parts in stock and at a much more reasonable price. A quick call to Mac and the parts were on their way. On the left is the new pinion nut from Randy's, and beside it is the original nut. Both are "deformed thread" style locking nuts, and you can see plenty of wear in the threads on the old unit. Randy's didn't have a listing for the pinion nut washer, but their replacement nut does have a flange, clearly visible in the photo at left. Since this flange is still smaller in diameter than the washer, I re-used my original washer as it was still in reasonably good condition. 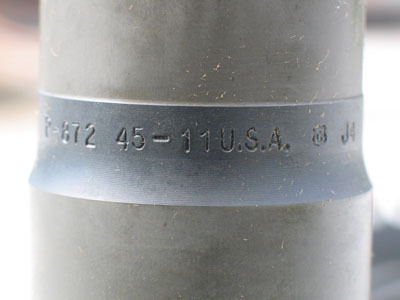 Once again, given that the 14-bolt is a crush-sleeve design (meaning that pinion bearing pre-load is set by cranking down on this nut with 350+ ft/lbs of torque), it baffles me that anyone would suggest re-using it. The 14-bolt ring gear bolts held a couple more surprises! 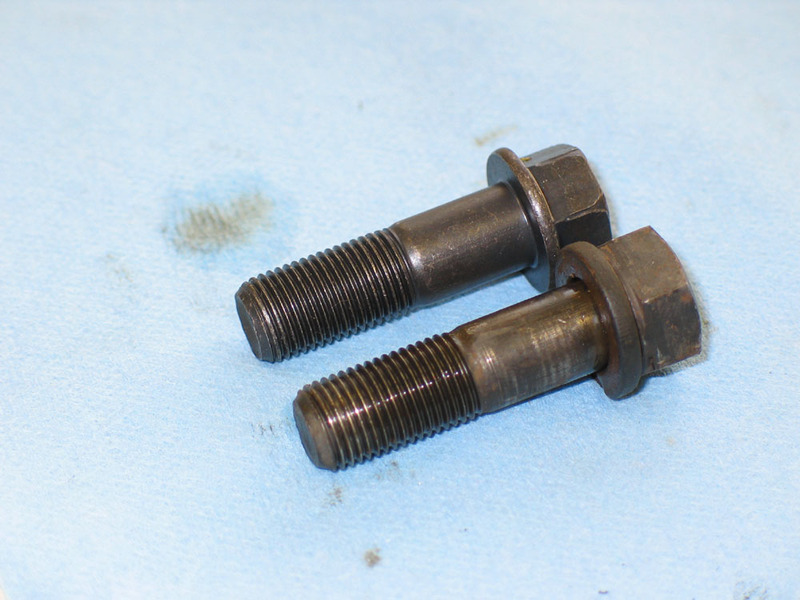 The picture at left illustrates the original bolt on the bottom and the new bolt on the top. Note that the original bolt used a split lock washer (not installed in this picture), and the replacement from Randy's is flanged and does not. That's why the bolts appear to be different lengths in this picture. You can see in this picture that the bolts are exactly the same length when they are compared with the original having the lock washer in place. Personally, I don't like split lock washers and prefer to avoid them if at all possible (see my Nuts & Bolts article for reasons why); and my opinion wasn't altered any when I found four or five cracked in half upon disassembling my original carrier and ring gear. As such, I was pleased to discover that the replacements from Randy's don't use them. Instead, I used a little high-strength thread-locking compound when installing the bolts into the ring gear. 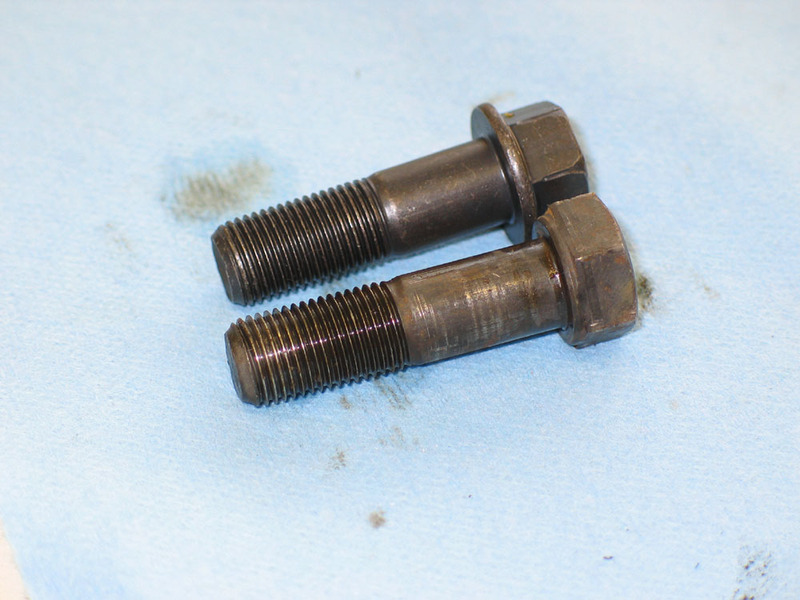 The final thing you need to know about ordering 14-bolt ring gear bolts is that they come in two different lengths, depending on the gear ratio. Bolts for the 4.11 and down carrier are 1.8" long and bolts for the 4.56 and up carrier are 2.1" long. Note that neither length is the same as any standard SAE bolt. Obviously, since a different part is required for each, and with such a small difference, the exact length of thread engagement of the bolt into the ring gear is critical. 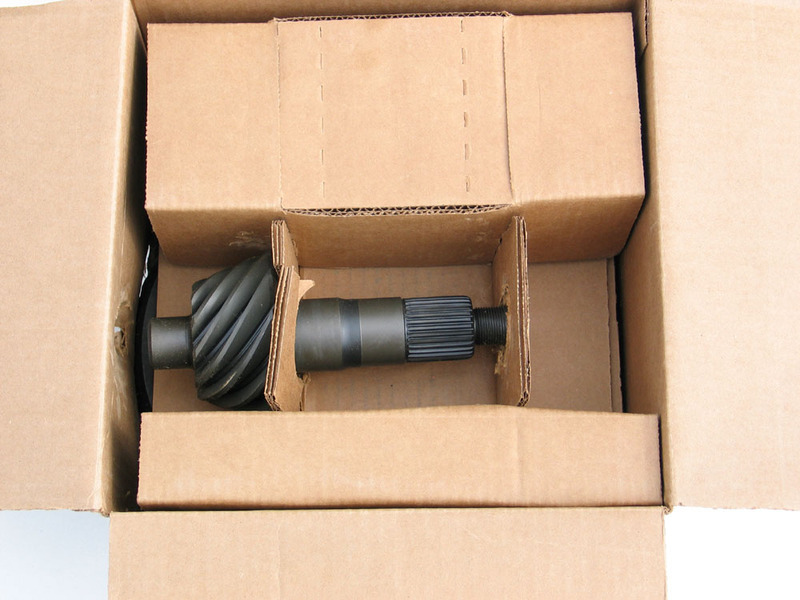 The Yukon 14-bolt gears and install kit from Randy's Ring & Pinion arrived promptly and well packaged. Everything needed was included except pinion nut and ring gear bolts, but these were available separately at reasonable cost. All the bearings were Timken made in USA except one carrier bearing race which was Timken made in France. I find that the yellow gear-marking compound included works quite well, but I avoid using the included no-name thread-locker in favour of Locktite brand. The gears are a quality, made in USA product with industry standard markings for ratio and matched-set numbers, but with no indication of pinion depth code number. 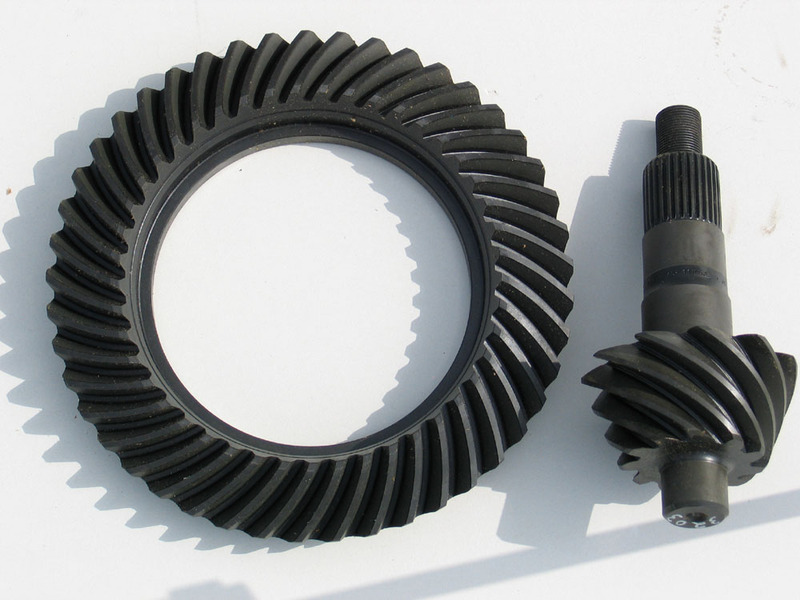 The gears themselves set up quickly and easily with no problems, and have been smooth and quiet in operation. 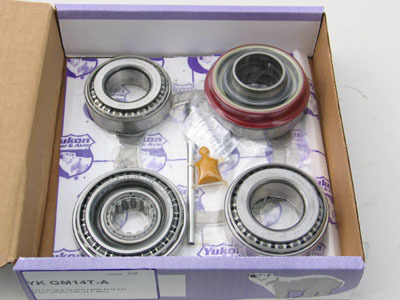 In the future I won't hesitate to use Yukon gears again, but I will always confirm the complete contents of any master install kit. 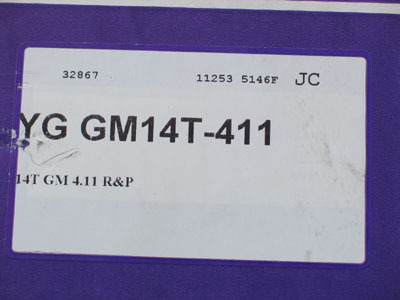 For full details on installing and setting up 14-bolt gears, see my 14-bolt gear setup article.